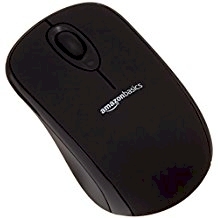 Amazon has got the AmazonBasics Wireless Mouse in black for $8.99 with free Prime shipping. It got 4.2 out of 5 stars over 9,472 customer reviews. Nano-receiver stays in the PC USB port or stows conveniently inside the wireless mouse when not in use.